28 days 200 Hour vinyasa flow yoga teacher training in Rishikesh is completely dedicated to offer vinyasa flow teachings everyday students will be dedicating their 3 hours in vinyasa flow learning 1/5 hours practice & 1/5 hours Alignment/ Adjustment with teaching methodology and rest hours in other subjects of the course. Course is yoga alliance certified after successful completion of the course students will be awarded with 200 Hours Vinyasa Flow yoga teacher training certificate by Himalayan Yoga Association that enables them to teach yoga in any country around the world. 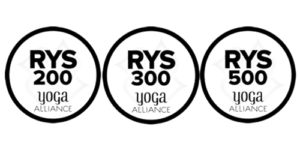 This certificate is all you need to immediately apply for your Yoga Alliance RYT 200 Certification, a certification recognized world-wide. VINVASA KRAMA YOGA is an ancient practice of physical and spiritual development. It is a systematic method to study, practice, teach, and adapt yoga. This vinyasa krama (movement and sequence methodology) approach to yogasana (yoga posture) practice is unique in all of yoga. By integrating the functions of mind, body, and breath in the same time frame, a practitioner will experience the real joy of yoga practice. Each of the important postures (asanas) is practiced with many elaborate vinyasas (variations and movements). Each variation is linked to the next one by a succession of specific transitional movements, synchronized with the breath. The mind closely follows the slow, smooth, deliberate ttjjayi yogic breathing; and the yoking of mind and body takes place with the breath acting as the harness. STEADINESS (STHIRA) – For a posture to qualify as a yogasana, it should afford the practitioner the ability to remain steady in that posture, be it standing on his or her feet (tadasana) or standing on his or her head (sirsasana). COMFORT (SUKHA) – Use of breath and the close attention of the mind to the breath, which are the hallmarks of yoga, ensure that there are considerable joy and relaxation for the practitioner. SMOOTH AND LONG BREATHING (PRAYATNA SITHILA) – This is the method prescribed by Patanjali to facilitate yoga practice. Prayatna (effort) here refers to jivana prayatna, or effort of life, which, as you can guess, is breathing. This condition stipulates that while practicing asanas, the breath should be smooth and long. So, while doing yoga correctly, one should not pant heavily. In contrast to aerobic exercise (which itself has benefits), neither the breathing rate nor heart rate should increase while practicing yoga. Our normal breathing rate is about fifteen to twenty breaths per minute. Since the movements are slow in vinyasa yoga, one has to slow one’s breathing rate as well. A good guideline to follow is taking no more than six breaths per minute. One should inhale for five seconds during an expansive movement (such as stretching the arms or legs or bending backward) and exhale smoothly when folding forward, turning, twisting, bending the knees, or doing similar body contractions. The smooth inhalation accompanying expansive movement is known as brahmana kriya, or expansive (breathing) action; the exhalation during contraction of the body is langhana kriya, or reducing or contracting (breathing) action. When you inhale while making an expansive movement and correspondingly exhale during contraction, this is known as anuloma, or “with the grain” movement/breathing. Anuloma exercise creates harmony between the tissues of the breathing organs and the body. Though anuloma is the general rule, there are situations in which one might or should exhale during an expansive movement. (The converse, however, is never the case because contractive movements cannot be performed while inhaling.) This might be recommended when the practitioner is tense, obese, old, or stiff. Take the example of the cobra pose. From the lyingdown position, moving into cobra pose is an expansive movement should be done on inhalation. But some especially tense people find this extremely uncomfortable because they tend to stiffen their muscles and virtually prevent their back from bending. A similar situation may arise with obese people because the belly tends to add pressure while inhaling. So, people with these conditions may breathe out while doing expansive movements. It is for the student and/or teacher to determine what type of breathing is appropriate for a particular vinyasa. One general rule is, “When in c doubt, do the movement while exhaling. 200 Hour Vinyasa yoga teacher training in Rishikesh is conducted throughout the year on the following dates. Private Accommodation- 180 USD Extra. Refund Policy – The course fees will not be refundable, only in the case of emergency students can join us on other schedules. If student cancel the course after joining it, we accept cancellation but course fees will not be refund in cancellation. There is no charge of course cancellation.